The Debut motorbike helmet is a fantastic entry level helmet and is suitable for everything from everyday riding, to scooter riding and even superbikes. This motorbike helmet is constructed from a super fibre outer shell and incorporates a proven wide-screen SAI aperture opening. The Debut also features a superb airflow system which doesn't compromise the outer shell and a Pinlock-ready Max Vision shield comes as standard. Constructed with the latest Super fibre (SFC) outer shell, the Debut offers all the famous Arai features, making this new model a tough contender in the popular mid-range price segment. 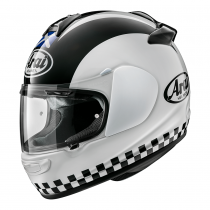 The All new Arai Debut motorcycle helmet is a brand new entry level model which is exclusive to the UK. Available in 2 different colourways, the Arai Debut Flag shares features which you would see on a mid range motorcycle helmet. 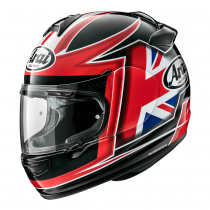 A brand new full face helmet from Arai which is exclusive to the UK. The Arai Debut is a handmade motorcycle helmet crafted in the same way as the top models such as the Arai RX-7V. 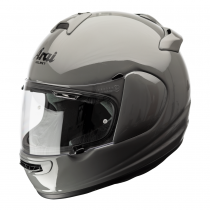 This is Arai's entry level helmet but has premium safety features and comfort. 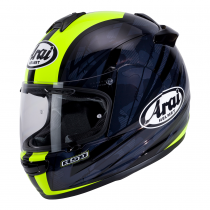 One of the new and eciting colourways for this year is the Arai Debut Blast. Exclusive to the UK, The Arai Debut helmet offers mid-range performance but at an entry level price. This motorcycle helmet includes features such as removable cheek pads, enabling you to get the perfect fit. The Saltire design offers that stylish classic look. 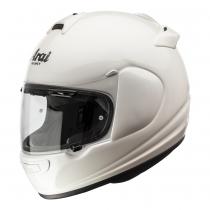 The brand new entry level motorcycle helmet from Arai. 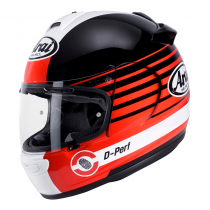 Introducing the Arai Debut. This full face helmet shares features which you would get on mid-range motorbike helmets. The Debut Page offers 2 stunning colourways for this year. 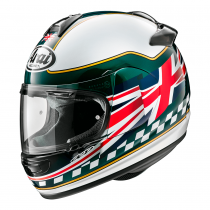 The Arai Debut Blaze is exclusive to the UK and is handmade motorcycle helmet crafted in the same way as all other Arai helmets such as top models such as the Arai RX-7V. This is the entry level model to the Arai family however this particular full face motorcycle helmet shares features of most mid range helmets. This particular model is available in two different colours. 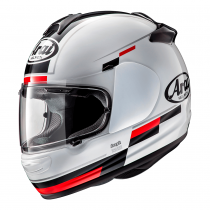 A brand-new entry-level helmet from Arai. Introducing the Arai Debut. This full-face motorcycle helmet is exclusive to the UK an offers performance which you get on mid-level helmets. The Arai Debut St George is a stunning addition to the range and has a classic design but has the performance and comfort of a modern-day helmet. The brand new Arai Debut motorcycle helmet offers mid range helmet performance but at an entry level price. The Debut Union colourway is just one of the stunning designs in this range. Features of the helmet include removable cheek pads which give you the opportunity to get that perfect fit. The Arai Debut helmet is brand new to the 2019 season. This is our entry level helmet and sticks to our ethos of high quality and handmade precision. This Diamond white colourway is perfect for any rider who wants that neutral look. The Arai Debut was designed to be one of the most versatile helmets in the Arai family. From superbikes to scooters, this helmet is up to the challenge. This entry level helmet shares features with many mid range motorcycle helmets, making the Debut fantastic value for money.